Artist Ian Richards has been a key contributor to LPAP. He was commissioned to created a large scale graphic mural in the LPAP | SPACE in 2014 as well as curating the LPAP | SPACE for its opening in early 2014. The artist collaborated with Ross Whatmore to create 'The Austin' vinyl installation as part of Longbridge Light Festival 2014. Ian Richards is a British artist and designer born in 1974. 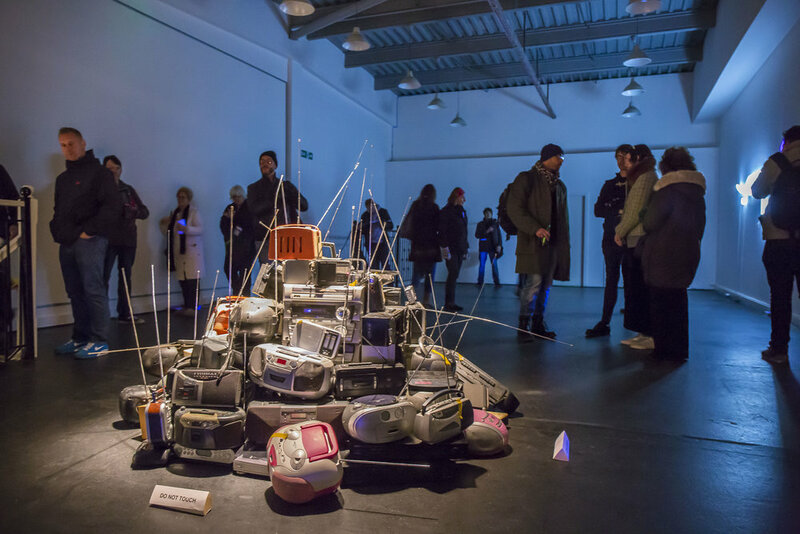 Using processes of social engagement he explores society and culture with the aim of disrupting expectations and personalising mainstream narrative. Ian invites dialogue and interaction through the content, design and location of his work in public spaces, working in diverse forms including sound, print, text and image, installation and multiples. Recent work uses text and language sourced from specific communities. This material is manipulated and presented in unexpected ways, locations, scale, situations and forms.